Surprisingly it’s not a Porsche. It’s one I picked up for $3 at a Mustang Swap Meet. 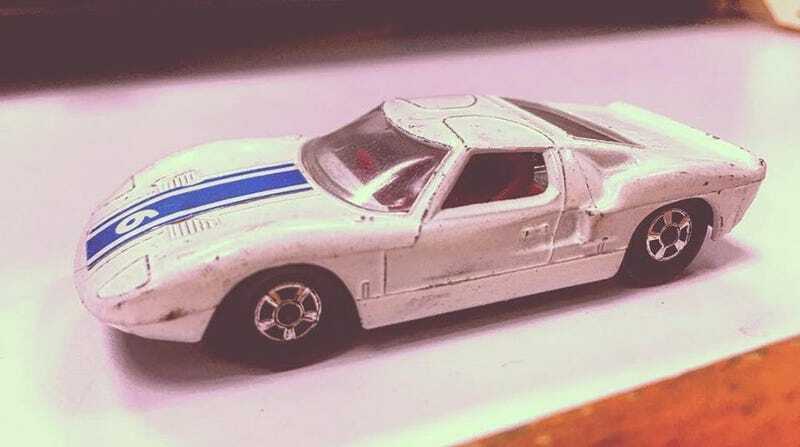 This is a 1970 Matchbox Ford GT, made in England. I just love the 48 years of patina, and the diecast engine detail is sweet. I was thinking about “restoring” it maybe, I’ve just got no idea how. Regardless, I love it to death, and take it everywhere I go. It’s kinda like a good luck charm.